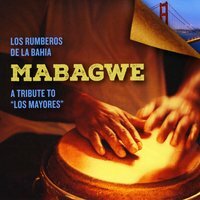 Mabagwe is a collaborative album between Cuban native José Luis Gómez (vocalist), Michael Spiro (percussionist and associate professor at Indiana University’s Jacobs School of Music), and Jesus Díaz (producer, percussionist, vocalist)—performing as Los Rumberos De La Bahia. Featuring high-spirited songs in the rumba tradition, the album displays superb performances by many featured musicians—Rogelio Ernesto Gatell Coto (vocalist), Ivan Camblor (tres guitar), Colin Douglas (percussion), Jesus Gonzalez (quinto), Jason McGuire (acoustic guitar), Beatriz Godinez Muñiz (vocalist), Fito Reinoso (vocalist), Genesie Reinoso (vocals), and Randel Villalongo (quinto)—and highlights the socio-cultural aspect of the Cuban music-making process. 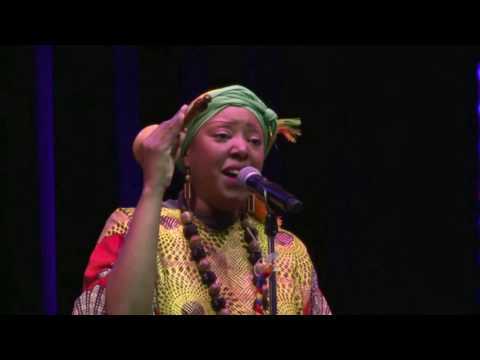 As the title indicates, Mabagwe (“Remembrance” in Yoruba) honors the legacies and memories of legendary Cuban rumberos and culture bearers of Cuban folkloric music—Regino Jimenez Saez (“Omi Saide”), Esteband Vega Bacallao (“Cha-Cha”), Gregorio Hernández, Juan de Dios Ramos, Francisco Hernández Mora, Gregorio Díaz, Jesus Alfonso, Julito Collazo, Francisco Aguabella, and Pedro Aballí. The album opens with “Siempre Viviran,” an arrangement dedicated to the legacy of the group’s mentors, featuring call-and-response dialogues coupled with toque to the orisha spirit Olokun, guaguancó rhythms, and the bata toque for the Egun (spirits of departed ancestors). Later on, “Potpourri De Boleros” treats the listener to a beautiful medley of popular boleros—“Sabor a Mi,” “Muchas Veces,” and “Y Tu Que Has Hecho”—supported by a light and sophisticated rumba. Publicist Ron Kadish writes, “Rumba can be played anywhere—at the kitchen table, on some buckets in the patio, on a desktop—whenever and wherever rumberos decide to start playing clave and sing about what’s going on their lives.” Mabagwe is most definitely an encapsulation of this rumba tradition, capturing an image of the San Francisco community of rumberos—Cubans and Americans—as they channel the spirits of “Los Mayores,” or elder Cuban rumberos. 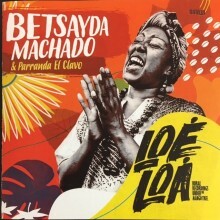 Though Machado has performed on world music stages in North America and with bands in Caracas, it wasn’t until recent years that efforts were made to capture her music in situ with La Parranda El Clavo. Thanks to the efforts of producer Juan Souki and Jose Luis Pardo (aka Los Amigos Invisibles’ DJ Afro), field recordings made in the village by Latin Grammy-winner Dario Penaloza were transformed into the groups’ debut album, Loé Loá: Rural Recordings Under the Mango Tree. Loé Loá presents an intimate portrait of a centuries old musical tradition that connects a small village in Venezuela with its African roots. Editor’s note: Betsayda Machado is touring the U.S. this fall, including performances on September 16-17 at the World Music Festival Chicago and Sept. 30 at the Lotus World Music and Arts Festival in Bloomington, IN.